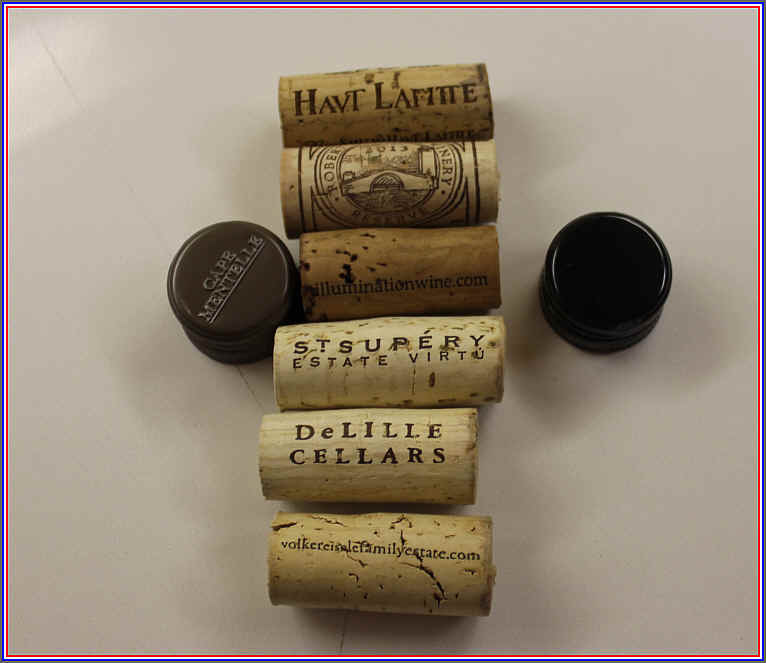 The host of this month's Vino Fino tasting had been impressed with his visit to Washington State's DeLille winery. 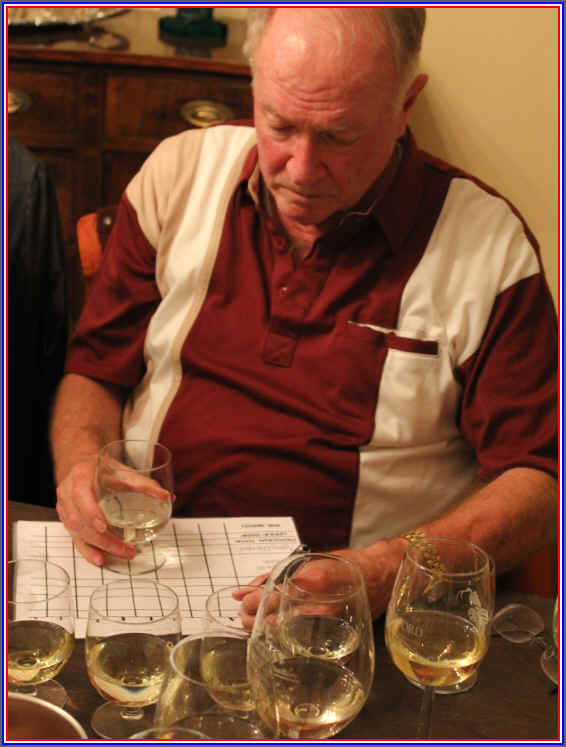 In particular, he was struck by their Chaleur white wine, a Bordeaux-like blend of Sauvignon Blanc and Semillon. 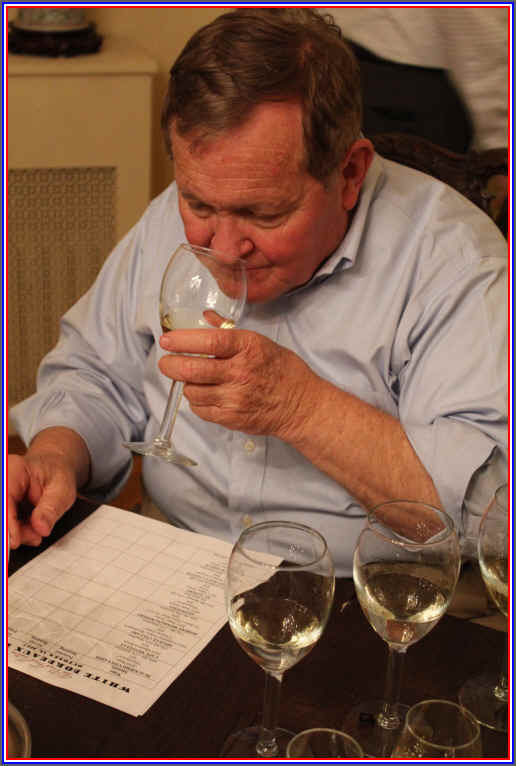 He wanted to taste some more wines of that genre and so we assembled a set of eight wines. These came from Napa primarily, along with an entrant from Australia's Margaret River region, a Bordeaux and, of course, the new vintage of the DeLille wine from Washington state. The wines are all of current release and available in the market presently. The oldest wines were from the 2013 vintage and the youngest were 2016s. Yet the wines seemed to be in nearly the same place in terms of development. The older wines tasted young, for example. 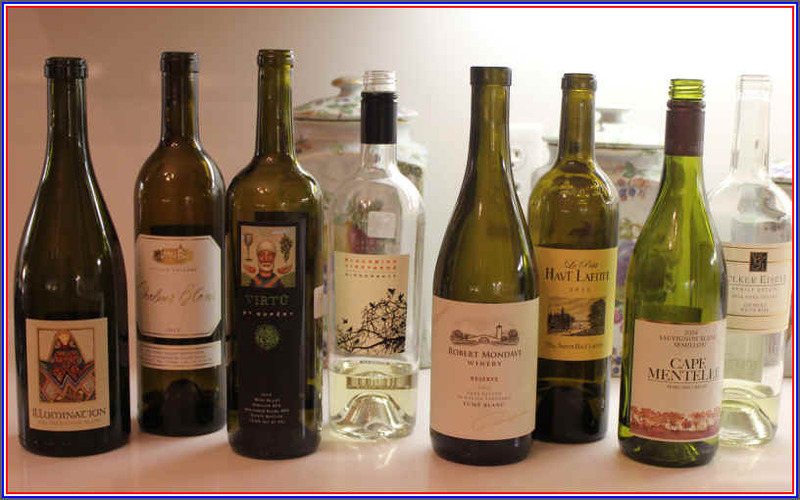 The tasting was quite good, with four of the eight wines garnering a first place vote. Six of the eight had a last place tally. One wine was well ahead of the pack, Quintessa's 2016 Illumination. The Volker Eisele 2014 "Gemini," the wine with the highest percentage of Semillon finished in last place. Still, there were no "dogs" in this tasting...all the wines were worth drinking. This tends to make the scores or total points fairly bunched up. 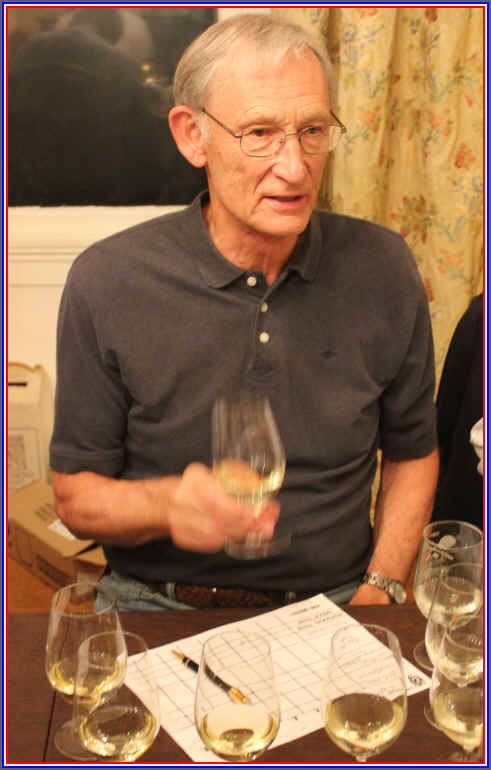 8th Place: VOLKER EISELE 2014 Napa Valley "Gemini"
The wine with the greatest percentage of Semillon found itself in last place. 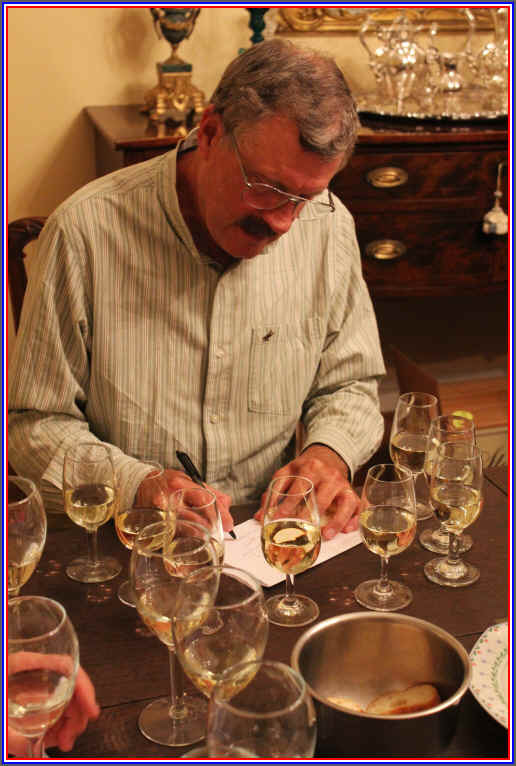 Our experience with Semillon wines is that they sometimes are very shy and quiet in their youth and need five to fifteen years before they blossom into something really magnificent. We found this to be brilliantly clear in appearance with a medium straw color. The fragrances are light and simple with a mildly peachy aroma. It's dry and fairly crisp. Light in body, it's a simple, easy-drinking wine which is a bit shallow at this stage. Perhaps time will allow it to develop? Semillon can be a deceptive young wine...I gave it a one-half star rating on my three star scale, no stars being an ordinary wine. Clear in appearance and light straw in color, there's a faintly fruity fragrance to this wine which doesn't show any influence from an oak barrel, though the winery says 8% of the blend was fermented in barriques. Dry and crisp, it's a light, zesty white wine. Nicely acidic, we found it to be youthfully fresh and crisp. Not a show-stopper but a good candidate as a seafood white wine partner. One half star rating. Medium straw in color and clear in appearance, this French Bordeaux is the second label from Ch�teau Smith Haut Lafitte whose first wine is amongst our favorite Sauvignon/Semillon blends. The main feature here is the wood, as the wine shows an overt oakiness on the nose, but it is a bit shy in the fruit department. It's dry and sports good acidity with medium body. The oak dominates the palate, though there is a touch of a peach tone to the flavors. Good wine, though. One star. Clear in appearance and medium straw color, there's a melon-like fruit tone up front with a touch of oak on the nose. Dry and nicely acidic with medium+ body, the wine is complete in terms of fruit and wood. It's woodsy on the palate, but there's plenty of Sauvignon, citrusy fruit notes to balance. Though it's now 4 years of age, it's still youthful and fresh. I found it to be quite good and gave it two stars. 4th Place BLACKBIRD 2016 Napa White "Dissonance"
This wine had a bit of residual CO2 and there were bubbles clinging to the glass as it was freshly poured. This dissipated with a swirl or two. 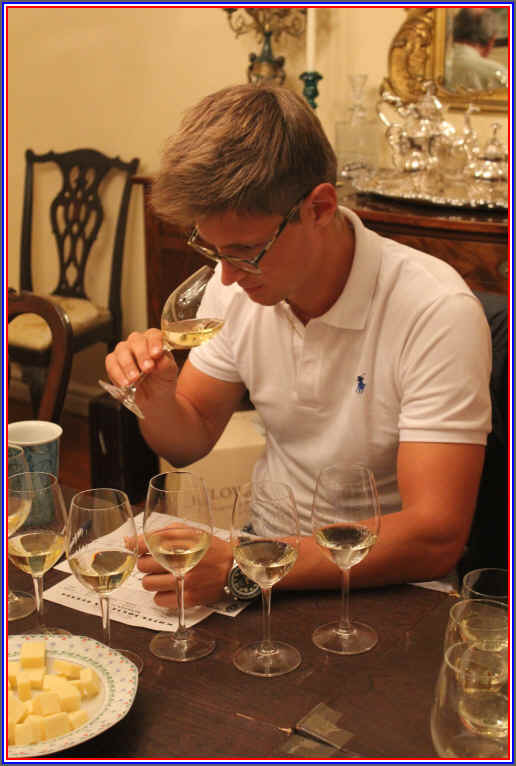 The aromas were focused on Sauvignon Blanc with a nicely citrusy tone and a hint of passion fruit fragrances. It's dry and crisp on the palate, being medium-bodied. It's crisp and almost grippy on the palate, with a touch of a pear skin tone giving it a little "bite." Very good, though and with nice texture. One star+. 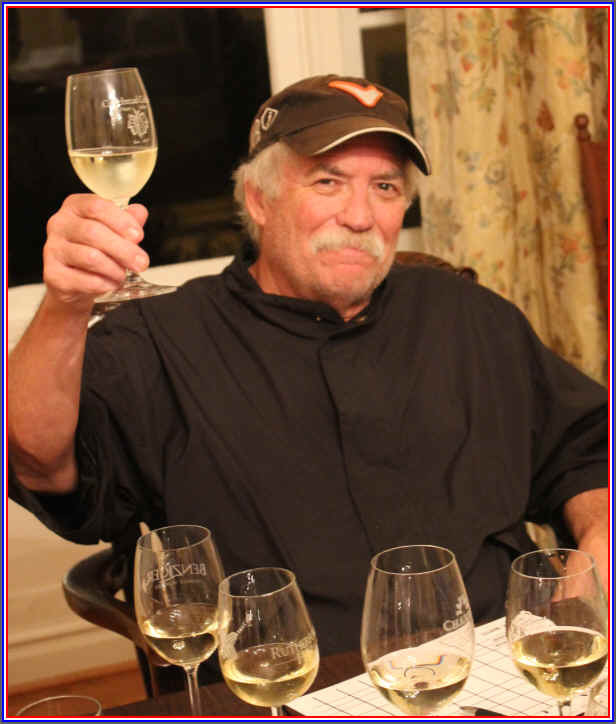 3rd Place: ST. SUPERY 2013 Napa Valley White "VIRT�"
Medium+ yellow in color and clear in appearance. There's a light oaky quality on the nose with light Sauvignon Blanc notes. The wood is a bit more prominent, but it's still showing quite handsomely. Dry and nicely acidic, I found a creamy quality on the palate as the oak gives a vanillin character to the wine. In the mouth it seems a bit shy of Sauvignon Blanc fruit...still, quite good but now seeing which wine it is, perhaps I like the 2014 a tad better. One-and-a-half stars. 1st Place QUINTESSA 2016 Napa Valley White "ILLUMINATION"
Clear in appearance and medium light yellow in color, this was mildly herbal and lightly grassy on the nose. It's fairly dry and has pretty good acidity. Medium- in body. It's grassy, crisp and shows light Sauvignon Blanc notes in the direction of passion fruit and green herbs...good wine. For me, it's not as compelling as my other top wines, but four of the ten tasters ranked this in first place. One star from me.